Cedar Point, on the shores of Lake Erie just outside of Sandusky, Ohio, is a roller coaster lover's paradise. In addition, the park has a marina, a white sand beach, live entertainment, fair food and all sorts of amusement park attractions. There's so much to do you'll want to spend more than one day. To help you find a place to stay, there's our list of the top Cedar Point area hotels. 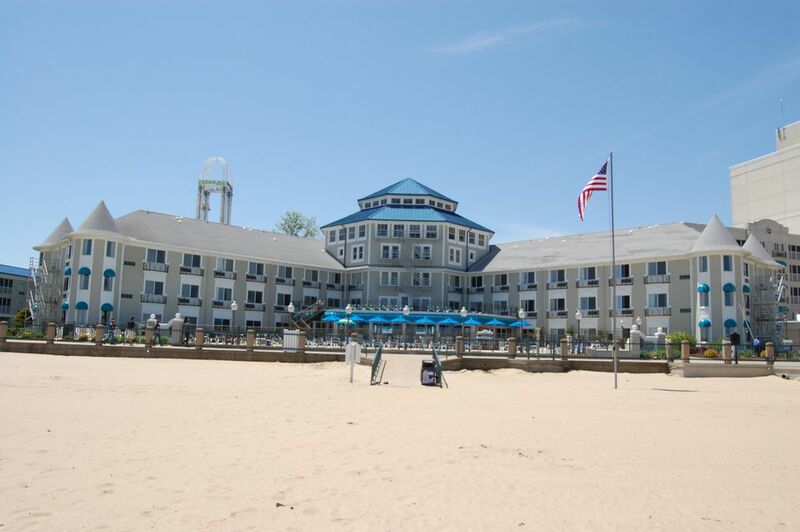 The Breakers Hotel, located right on the beach at Cedar Point, is the resort's most luxurious -- and convenient -- hotel. Just a two-minute walk from the park, the 650-room hotel features two outdoor swimming pools, a heated indoor pool, a long stretch of white sand beach, several restaurants, a whirlpool, a shopping arcade and much more. The Breakers also offers a complimentary shuttle van to and from Cedar Point. Located at the base of the Cedar Point Causeway, with lovely views of Lake Erie, sits Castaway Bay, a popular indoor waterpark resort. All of the rooms here feature balconies, many of which overlook Lake Erie. In addition to the waterpark, facilities include a fitness room, free parking, and several onsite restaurants, one of which is a TGIFridays. Located just minutes from Cedar Point, this indoor water park is a destination in itself. The 33,000-square foot indoor water park is a hit with young and older visitors and features 60 guest-activated water effects, among other things. The resort also has a rock climbing wall and Raccoon Lagoon, an outdoor kids' pool area. This simple, but comfortable hotel is just two miles from Cedar Point. The hotel offers free WiFi and a heated indoor swimming pool. Located just four miles away from Cedar Point, the Fairfield Inn and Suites offers 88 recently remodeled rooms and suites, all with free wireless Internet access, hair dryers, iron, and ironing boards and cable TV. Some rooms also have Jacuzzi tubs, microwaves, and refrigerators. Amenities include a free hot breakfast buffet and 24-hour fresh coffee. There's also a heated indoor swimming pool. Located just minutes from Cedar Point, this family-oriented hotel offers a variety of entertainment options. New since 2007 is "Rain" indoor water park with a 50-foot slide tower and other water activities. The hotel also has a bowling center, a laser tag facility, and a video arcade. The Quality Inn offers free transportation to and from Cedar Point. This affordable motel, located just two miles from Cedar Point, offers comfortable rooms with an iron and ironing board, coffeemaker and computer data port. Hotel facilities include an outdoor swimming pool and an on-site Perkins Restaurant. The 89-unit Comfort Suites Hotel is located just off of the Ohio Turnpike, about five miles from Cedar Point. Every room has a separate sitting area and a kitchenette with a coffeemaker, microwave, and refrigerator. There are also large two-bedroom suites available. The entire property is non-smoking. Room rates include free high-speed Internet access and a complimentary Continental breakfast. The Hampton Inn is located just off of Ohio Route #2 at Route #250, about two miles from Lake Erie and about six miles from Cedar Point. The 50-room hotel has a business center, pool, and fitness center and offers a complimentary hot breakfast, daily newspaper, and high-speed Internet access. The La Quinta Hotel in Sandusky is located approximately 2.5 miles from Cedar Point and near many other area attractions. The 62-room, two-story hotel includes a hot breakfast and high-speed Internet access in their room rates. Facilities include a heated, outdoor swimming pool. The Howard Johnson Express Inn is located less than two miles from Cedar Point. The two-story, 30-room hotel features wireless Internet access in all guest rooms. Some rooms even have Jacuzzi bathtubs. Facilities at the Howard Johnson Express Inn include an outdoor swimming pool. A complimentary hot breakfast is served each morning.